Turkmenistan is largely a desert country with intensive agriculture in irrigated oases and sizeable gas and oil resources. 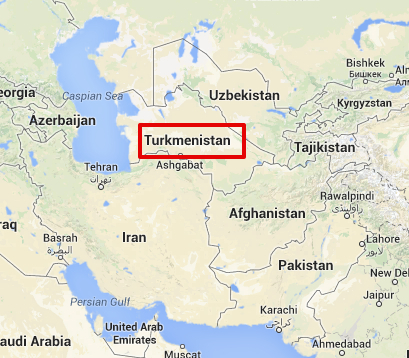 Modern Turkmenistan covers territory that has been at the junction of civilizations for centuries. 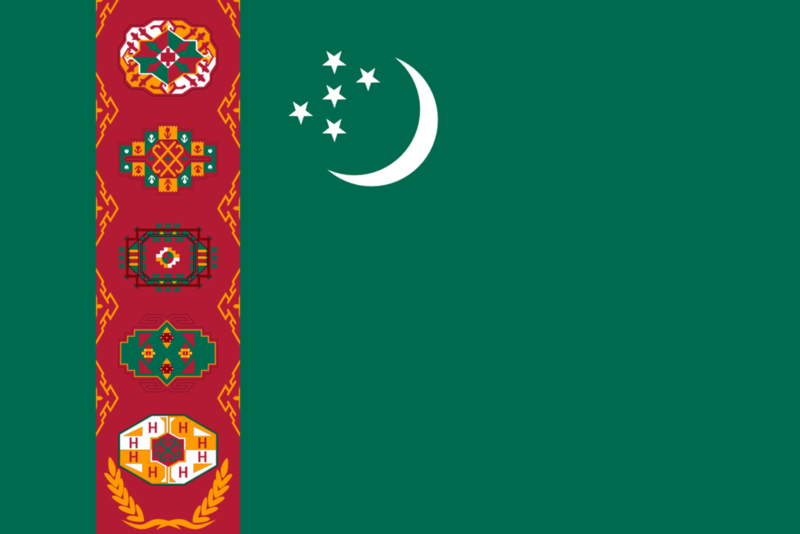 In 1924, Turkmenistan became a Soviet republic; it got independence upon the dissolution of the USSR in 1991. Turkmenistan is ranked number two on the Bisignis Institute's Emerging Market Energy Security Growth Prosperity Index®. Significant hydrocarbon/natural gas reserves, which have yet to be fully capitalized on, have begun to transform the country. Turkmenistan is moving to expand its extraction and delivery projects. The Government of Turkmenistan is actively trying to diversify its gas export routes beyond the crucial Russian pipeline system. In 2010, new gas export pipelines that bring Turkmen gas to China and to northern Iran began, effectively ending the Russian monopoly on Turkmen gas exports. The two largest crops are cotton, most of which is produced for export, and wheat, which is domestically consumed. Agriculture accounts for roughly 8 percent of GDP, and it continues to employ nearly half of the country's workforce. From 1998-2005, Turkmenistan suffered from the continued lack of adequate export routes for natural gas and from obligations on extensive short-term external debt. At the same time, however, total exports rose by an average of approximately 15 % per year from 2003-08, largely because of higher international oil and gas prices. Extra pipelines to China, that began operation in early 2010, and increased pipeline capacity to Iran, have broadened Turkmenistan's export routes for its gas. The country has been unable to benefit fully from its gas and oil deposits because of an absence of export routes and a conflict between the Caspian Sea littoral states over the legal status of offshore oil. Turkmenistan produces roughly 70 billion cubic meters of natural gas each year and about two-thirds of its exports go to Russia's Gazprom gas monopoly. When Gazprom agreed to pay 54 % more, a protracted dispute between the two countries over the price ended in September 2006. From 1998-2005, Turkmenistan suffered from the continued lack of adequate export routes for natural gas and from obligations on extensive short-term external debt. Additional pipelines to China, that began operation in early 2010, and increased pipeline capacity to Iran, have expanded Turkmenistan's export routes for its gas. Turkmenistan's energy resources hold the potential to alleviate regional energy bottlenecks, if developed with diverse export routes. There is an ongoing review of Turkmenistan's status as a beneficiary country under the U.S. Generalized System of Preferences program, due to significant deficiencies in Turkmenistan's intellectual property protection regime. The U.S. Government considers the Soviet-era dual taxation convention to continue to be in effect and applicable between the United States and Turkmenistan. Since his election, President Berdimuhamedow unified the country's dual currency exchange rate, ordered the redenomination of the manat, decreased state subsidies for gasoline, and started development of a special tourism zone on the Caspian Sea. Although foreign investment is encouraged, and some improvements in macroeconomic policy have been made, many bureaucratic obstacles impede international business activity. Around 54 enterprises with United Arab Emirates capital, 96 projects worth $5.276 million and 5.1 million euros have been recorded in Turkmenistan, according to an article published in the Neutral Turkmenistan newspaper citing the data from the International Information Department under the Foreign Ministry. The United States established diplomatic relations with Turkmenistan in 1992 after its independence from the Soviet Union. Turkmenistan's energy resources hold the potential to alleviate regional energy bottlenecks, if developed with diverse export routes. 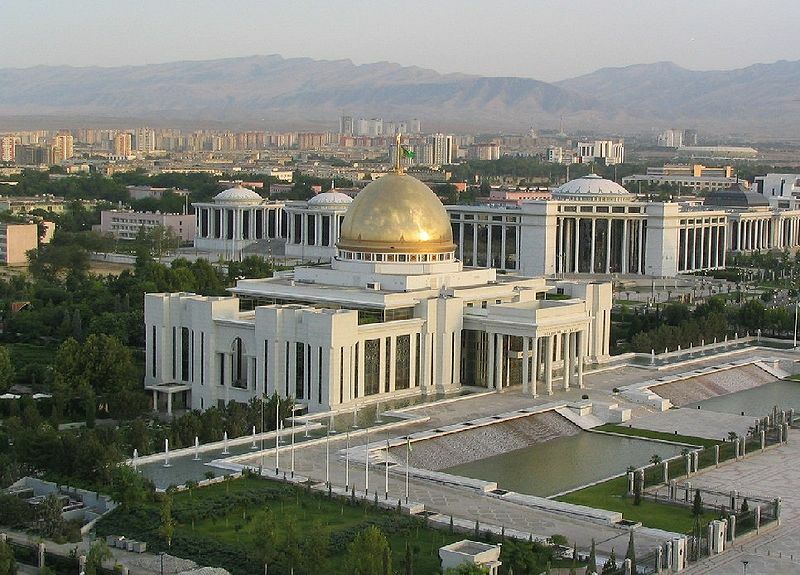 The Government of Turkmenistan engages with the United States in many areas, including cooperation in border and regional security programs, cultural and educational exchanges, and English-language training. The government has taken some small steps forward in human rights reform, although its general human rights record continues to be unsatisfactory. Turkmenistan's vast natural gas and oil resources continue to attract foreign companies to the nation, but the Government of Turkmenistan has yet to execute reforms needed to create an inviting business climate where foreign investment and foreign investors are genuinely welcomed. Turkmenistan has signed a trade and investment framework arrangement with the United States and other Central Asian countries establishing a regional forum to discuss ways to boost investment climates and broaden trade within Central Asia. The United States and Turkmenistan have a most favored nation trade agreement. There is an ongoing review of Turkmenistan's status as a beneficiary country under the U.S. Generalized System of Preferences program, due to significant deficiencies in Turkmenistan's intellectual property protection rule. The U.S. Government considers the Soviet-era dual taxation convention to continue to be in effect and applicable between the United States and Turkmenistan. Turkmenistan is the most ethnically homogeneous of the Central Asian republics. There are some Uzbeks in the east, as well as small populations of Russians, Kazakhs, Tatars and others. In June 2013, the singer Jennifer Lopez played at an event in Turkmenistan and sang" Happy Birthday" to the country's president, who was in attendance.